Accurate timing is the most critical part in shooting water crowns. 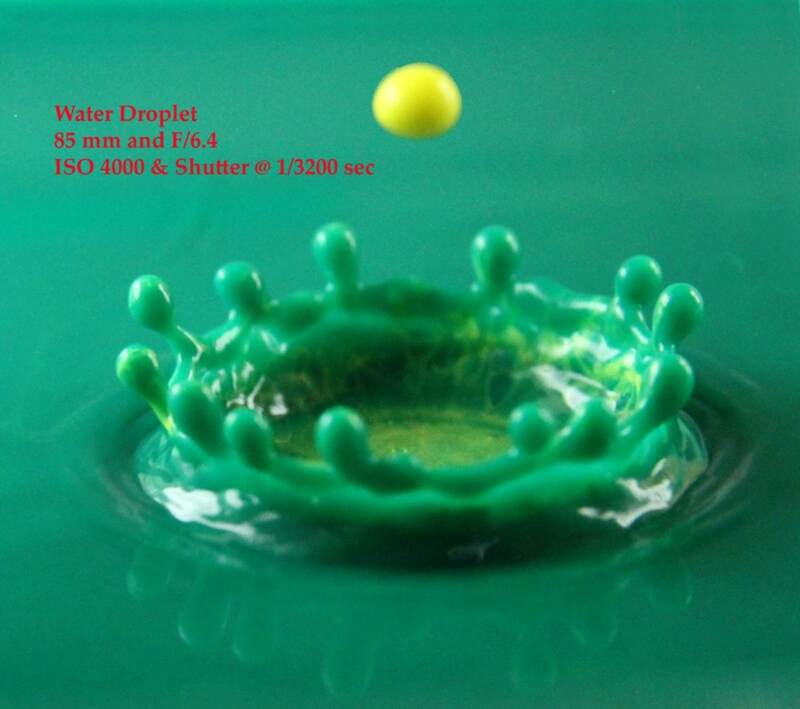 Because the water crown only appears for a minute fraction of a second, therefore the camera must be capable of operated at high speed and with a good flash light. Use smaller aperture to get crispy photographs. A zoom lens works better than a macro lens because of its better depth of view performance. The velocity of the drop, the depth of water and its viscosity have a significant impact on the shape of the water crown so formed. Keep trying and making many errors. Shot tons of photographs. You will ultimately be rewarded with a slice of joy. Once you capture your first water crown in good shape, you should feel the excitement rushing out from your heart. 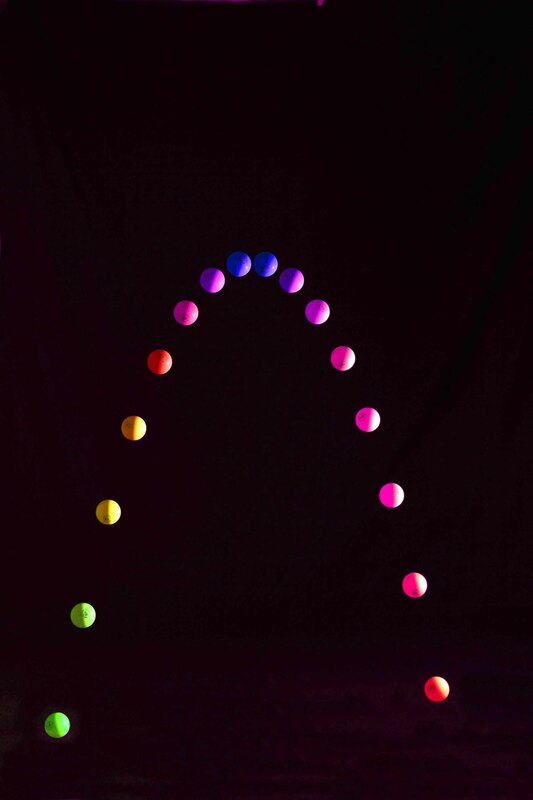 Stroboscopes play an important role in the study of machinery in motion, in medical applications and even in entertainment such as the vibrant lighting effect found in discotheques. Professor Andrew Davidhazy of Rochester Institute of Technology explains in his article entitled “Simplified Stroboscopic System for Motion Pattern photography” that modern photographic stroboscopy in its simplest form is a method whereby a subject in motion is lit by repeating flashes of light from the stroboscope while the shutter of the camera remains open for a period of time long enough to capture the subject in multiple locations during the time of exposure. The secret to smoke photography is to get good images of the smoke by using enough flashes placed at right angle to the lens. 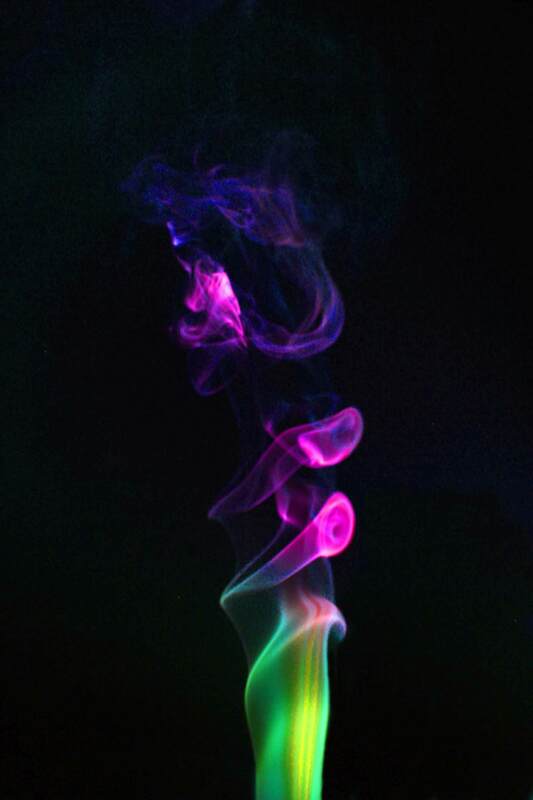 The colours of the smoke are generated in post-processing by fine tuning the saturation level in Photoshop. To get the colour you want, there must be a base colour in the original smoke photograph. Smoke can be made by burning a single incense stick or cigarette. Beware of inhalating too many carbon dioxide from burning incense stick or cigarette when taking smoke photographs in enclosed environment. The surface tension of water makes its droplet looks like a spherical glass ball. You can use the characteristic of a spherical glass as a de-magnifier to an advantage. 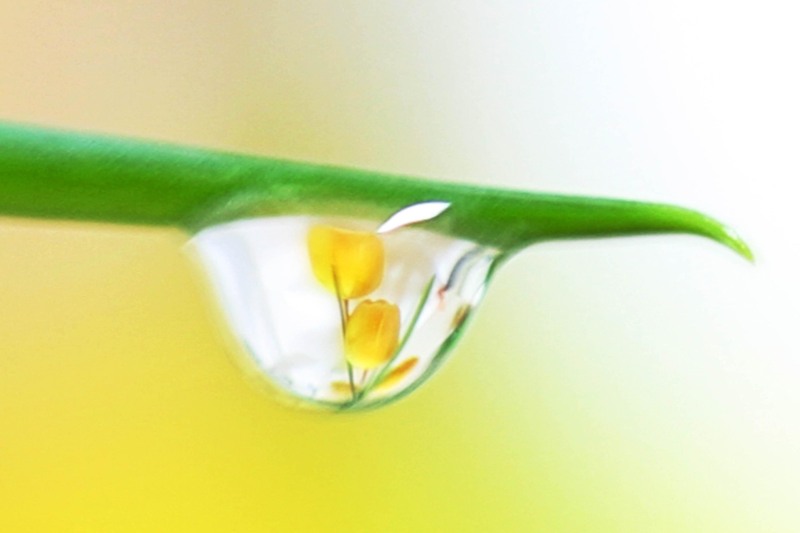 If a flower is placed behind the water droplet, you can see an reduced-size image of it reflected in the droplet. Here a 100mm macro L lens is used to take the droplet photographs. Macro lens has a very shallow depth of view and therefore manual focusing is necessary and camera stablization is also important to ensure a crispy picture can be taken.